I don't celebrate Halloween so my post is slightly off topic, but what I have to write about is quite scary. On the face of it, great. A wheelchair can fit in there easily. There's a changing pad for babies. What's wrong with it? It's just like disabled toilets all over the county. And THAT is exactly what's wrong with it. Imagine you are disabled and need a hoist to get you out of your wheelchair. Now how are you going to use it? Or imagine you are doubly incontinent, in nappies or diapers. If your nappy needs changing, where are you going to lie down? On a public toilet floor?! Sadly this is the reality for thousands of families. The lack of suitable changing places can stop a family from taking their disabled child out, simply because there is nowhere to change them. Although not personally affected by this I have a friend who's ten year old son is doubly incontinent. He has Down's syndrome and is fully mobile and doesn't use a wheelchair, yet the lack of suitable changing places can have a huge impact on their lives. I asked her how she manages and she says she carries a blanket with her in the back of the car or her husband changes him in the car. This works currently but as he gets taller I can imagine this is going to present some challenges. What about when he doesn't fit lying down in the car? And what about if they didn't have a car and were reliant on public transport? Where would she keep the blanket to change him on? Where we live she is aware of only one place that has suitable changing facilities: Chester Zoo. It has a hoist and a changing bed. However they only have one. And if you're on the wrong side of the zoo when nature calls, you are in difficulties. I took a poll in an autism group I'm in. Several people have had to change their child on a public toilet floor, others had used the car, yet others couldn't even fit their wheelchair or buggy in the public toilet!!! I am aware of one 'disabled' toilet in a well known fast food restaurant in Wrexham, where the toilet is tucked down the side. I've struggled to get in it with a buggy as there is usually a wall of chairs and pushchairs to fight through to get to it. Once you are in it, either the lock doesn't work or you can't move once you're in with a buggy. I can't imagine what it's like with a wheelchair. Add to this that it is the only toilet on the ground floor and I think you would agree it's hardly disabled friendly. There is a culture around disabilities where when people think of disability the image of a person in a wheelchair instantly comes to mind. Even the symbol for disabled access is a wheelchair. Yet mobility issues are just a small part of the disabled spectrum. The issues I personally face when it comes to public toilets is that there is often only one toilet. Even in a very busy place. Which means waiting to use it. My children are continent but my son is 8 years old, has ADHD and Autism and is very vulnerable. The last thing I want to do is send him into a gents public toilet. But what choice do I have if there is no disabled toilet available? He's 4' 8". I can't take him in the ladies with me! Sometimes he has accidents, but if he has an accident in a public men's toilet, how can I go and help him out. Plus there's the minor embarrassment of spending an awful lot of time hanging around outside men's loos!! And if there is a disabled toilet available, half the time they need a special radar key to get in. I understand why they're kept locked up, but I don't have one of those keys. They're huge so you can't fit it on your keyring and although I did have one, because I had nowhere sensible to keep it, I kept losing it. And even if it is open, he's 8. I'm trying to teach him privacy and keeping himself safe. How can I do that if I have to go in with him to the toilet every time. Some places have family toilets, and for my family, they work really well. We can all go into the same bathroom but the toilets have separate cubicles. It means I can be close by but still give him his independence and dignity. Unfortunately these are few and far between too. As SN parents we are trying to raise awareness of the lack of appropriate changing facilities and there is a petition to get this problem addressed and there is a website providing more information. We are also hoping to spread as much awareness as possible across social media so please share this post using the hashtags #phantomloos, #benchandhoist and #changingplaces. Please visit The Inclusive Home to view other posts around this issue. 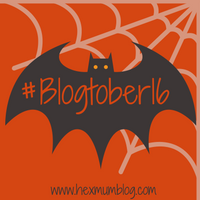 Finally, don't forget to follow the bat to see what the other bloggers taking part in Blogtober16 have been up to! You're right- those Radar keys are huge! You've also raised another really important point about letting vulnerable children/young adults (and adults too I guess) into toilets on their own . As Emma says, you've highlighted some other REALLY important issues around access to toilet facilities. I really feel there needs to be a review of best practice guidance and rationalising what constitutes minimum standards, to ensure all buildings with toilets for the public have a more inclusive provision for different needs. so true there needs to be more provisions out there for more then one disabled toilet as well !